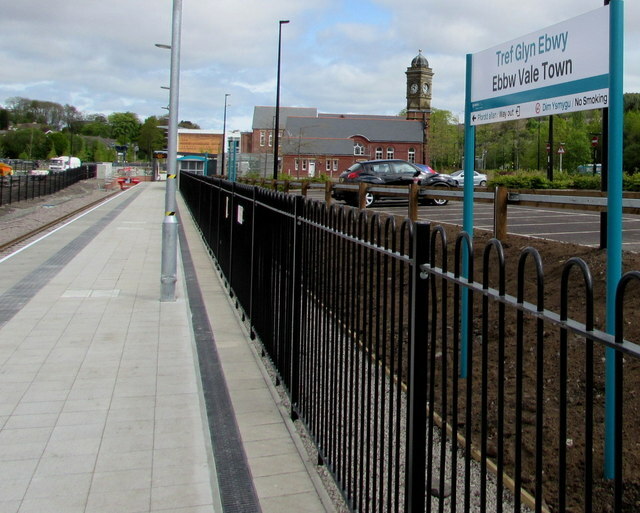 On 25th June, just two days after Britain voted to leave the EU, the small Welsh valleys town of Ebbw Vale hit the headlines (Town showered with EU cash votes to leave EU.) The article questions why a town that, like so many others in Wales, has received billions in EU funding for infrastructure and economic re-generation since 1973 voted to leave. Wales was set to receive €50billion from the EU between 2014-20 through structural funding and programmes like Horizon 2020 and ERASMUS. Replacement of this funding by the UK government is by no means certain, and the future of a country still living with the aftermath of deindustrialisation is now more precarious. The article concludes that Ebbw Vale “holds some of the clues…in understanding quite how spectacularly the Remain message failed to land”. However, the reasons why Wales voted for Brexit go deeper than a simple campaign failure, as shown by the seven UKIP seats won in the May National Assembly for Wales election, and the evidence that regions with the greatest economic dependence on the EU were more likely to vote Leave. Richard Wyn Jones puts forward some answers to the important question posed in his Guardian article headline Why did Wales shoot itself in the foot in this referendum? These answers include failure on the part of a Welsh Government distracted by internal politics to fully engage in the Remain campaign, other failures on the part of the Remain campaign in Wales, and a depleted and insufficient Welsh media resulting in a dominance of English media and a similar referendum result to England. He argues that devolution in Wales “has not led to a closing of the gap between the population and what we must now term the ‘Establishment’.” The main reason given for this is the absence of proactive policy making. Jones argues that while the Welsh Government are clearly against austerity measures and Tory cuts, what they are for is less clear. However, despite this and despite the Brexit vote in Wales, Plaid Cymru leader Leanne Wood has called for an independence referendum in Wales, stating that if Wales had been independent the population might have voted differently on polling day. In the context of devolution, the geography of Brexit and regional dimensions to inequality it is important to consider Wales as a standalone case rather than comparing it to Scotland or Northern Ireland, because of their distinct political histories and the asymmetrical nature of UK devolution. With this in mind we use data collected on polling day from young people in Wales to contribute to the debate arising from Jones’ pertinent question, why did Wales shoot itself in the foot? How did young Welsh people vote? 51.7% of the Welsh population voted to leave the EU, marginally lower than the national average of 51.9. Our data shows that 67% of under-30s in Wales voted to remain, much higher than the general population, but ranking only 8th out of 11 regions for under-30 support for staying in the EU, behind the South East (74%), the North East (72%), London (72%), Scotland (71%), the North West (71%), the East Midlands (68%) and the East of England (68%). In short, under-30s in Wales show comparatively Eurosceptic tendencies. How did young Welsh people hear about the campaigns? The table below shows the main source of EU referendum campaign information among under-30s. The first column includes under 30s in Wales (41 people), the second column shows responses for all other regions of the UK with Wales taken out (960 people). Given the arguments for a paucity of Welsh media coverage causing a similar referendum vote to England, . The most notable difference is between young Welsh people who heard about the campaigns through ‘other’ sources to those listed, 41% compared with 26% of the population as a whole. While we do not know what the other sources are, possibilities include: word of mouth, community events, local events, door knocking and friends and family. All these are face to face sources of information and could indicate that young people received campaign messages through ‘on the ground’ campaigning. However, without knowing which sources ‘other’ refers to this is speculation at best. Following this, television is ranked second for Wales and the UK as a whole. Social media (Facebook, Twitter and Blogs) is notably a less highly ranked source of information among young people in Wales than across the UK as a whole. How much did young people in Wales trust the campaigns? One of our five key lessons from polling day is that young people trusted the campaigns more than their elders. As our article revealed, most people (40%) did not trust the messages from either campaign by polling day; however 52% of young people trusted either the Remain or Leave campaign at least a little. The table below shows a very marginal difference in trust for the respective campaigns between young people in Wales and the rest of the UK. A slightly higher percentage of young people in Wales (3%) don’t trust either campaign, and while interesting, this is not statistically significant. Young people least likely to turnout on the day were those who responded ‘don’t know’ to the question of trust (44%), however the second highest percentage of under-30s unlikely to turn out did not trust either campaign (32%). So what can we glean from these results in terms of understanding why Wales shot itself in the foot? While the majority of young people across the UK voted to remain in the EU, under-30s in Wales were notably less supportive than other regions. The group use social media less than others across the UK and potentially more face to face means of gaining information on the referendum. They had slightly less trust in the campaigns than other young people, but not significantly so. Previous findings from this project have shown us that had young people turned-out in the same proportions as over 65s (the group with the highest turnout) on the day, the final result of the referendum would not have changed, we would still have voted to leave. The same is true for Wales. In light of this and the findings presented in this article, we can start to rule-out generational divides in response to the question why did Wales shoot itself in the foot? In other words Wales did not shoot itself in the foot despite its young population. Young people in Wales did not vote in high proportions to remain, nor do they appear to differ greatly from young people in the UK as a whole in terms of sourcing campaign information and trust in the campaigns. The low levels of young Welsh people using social media is the one exception and given the high numbers using ‘other’ sources which could be more face to face, this could be an area for further exploration linked to the history of ‘community’ in Wales, geographical, social and economic. However, the highest number still got their information through television and print newspapers which in Wales, as Jones argues and the Institute of Welsh Affair’s Welsh Media Audit confirms, is in its steepest decline since 2007. Finally, despite young Welsh people trusting remain more than leave, 34% is a relatively low proportion adding weight to Jones’ argument that Wales voted leave because of failure on the part of the Remain campaign and on the part of the Welsh Government for not promoting it to its greatest ability. To conclude, the findings add to Jones’ answers; Wales shot itself in the foot because of a failure for the Remain campaign and the Welsh Government perpetuated due to poor Welsh media provision. In addition the spatial dimensions of inequality in Wales and the fact that despite the billions in EU funding received over decades, Wales remains one of the poorest areas of the UK, are also things we will be considering in future articles.